Brooklyn and Bailey Take Over Camille La Vie! Hey #CLVGIRLS, have you heard?! 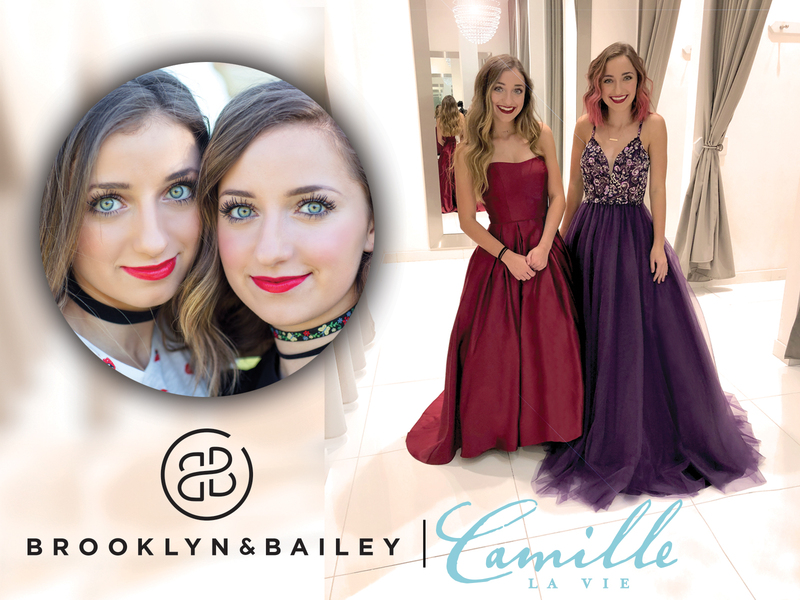 We teamed up with Youtube superstars Brooklyn and Bailey for prom ‘18, where they shopped for their prom dresses at the Houston Camille La Vie store…and documented the entire process on video! The girls had a blast choosing gowns they thought the other would like, having their mom pick a style for each of them, and racing each other to try on many dresses as they could in ten minutes. Bottom line: we can’t get enough of these super-sweet sisters! February 27, 2018 by Camille La Vie | Comments Off on Brooklyn and Bailey Take Over Camille La Vie! With spring comes many exciting events…Coachella, T-Swift’s Reputation tour, and PROM! The common denominator for all three? (aside from rockin’ out to awesome tunes?) Where wardrobe is concerned, florals are classic for each. Boho blooms for Coachella, flirty and femme for Taylor… but naturally, we’re here to talk prom. This year’s Camille La Vie collection includes the classic print with chic twists, including strappy open backs, moody shades, and pretty brocade fabrics with shining finishes. There’s a lot of trends to test drive this prom season. Lavender. Ruffles. And ::drumroll:: plunging necklines! This sleek look has been spotted on red carpets for years and years, but is just now starting to pop up everywhere we look. And while this deep v-cut seems a little daring, it’s actually super flattering…especially for prom!